Ruh, roh. He's got crazy eyes and a power drill! This is week 26, which means we have made it half-way through 2012. I don't know about you, but for me, this roller-coaster of a year has flown by! So did this week! The week started off with a visit from my bestie, and her daughter (who happens to be my Goddaughter.) We did all kinds of fun stuff — we laughed, we shopped, we traveled, we ate — it was awesome. 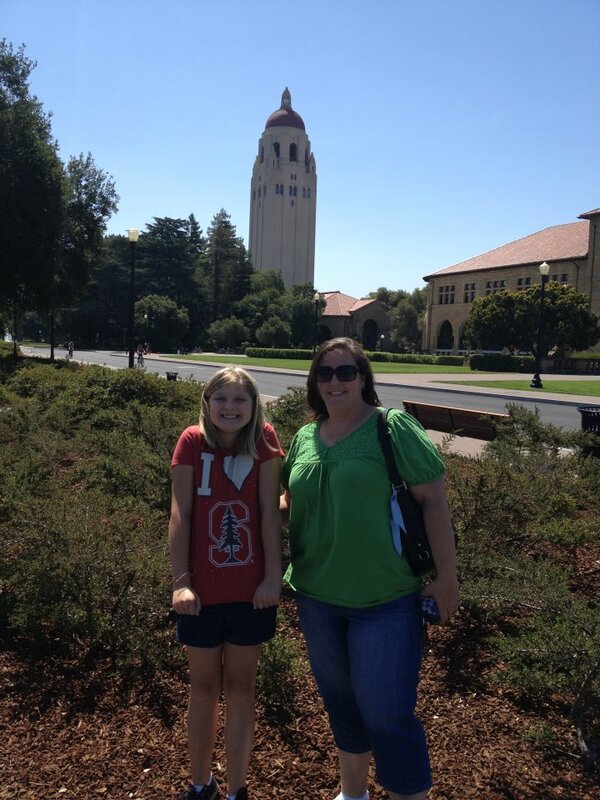 One of the highlights was going to Stanford University so my Goddaughter could see her 'future school.' She just happened to be wearing her "I ♥ Stanford" shirt, so it was quite apropos. I had a great time with my girls and I cannot wait for the next visit. This weekend, Aaron and I got a lot of little things done around the house. Being the proud homeowner I am, I took some snapshots of all the little things that got done, that add up to a big smile on this girl's face. A knob. Or a drawer pull. Or a knob. Yay! Somewhere to hang my towels! Isn't he cute? He is drilling a massive hole in the wall for the robe hook I failed to take a photo of. Smell that? Me neither. That's because we finally changed the filter. were too lazy to replace it. But we had the ladder out, so there you go. was finally hung in the laundry room. because I never iron anything.